(i) Conventional type applications for the post will be summarily rejected. 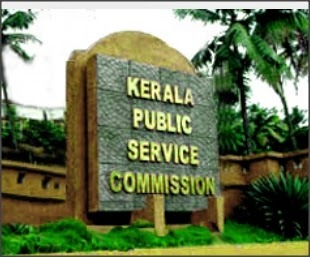 Candidates shall apply only through online facility available at the Kerala Public Service Commission website viz www.keralapsc.gov.in . (ii) Separate Ranked Lists will be prepared for the above Districts in pursuance of this notification. The ranked lists thus prepared and published by the Commission shall remain in force for a minimum period of one year, subject to the condition that the said list will continue to be in force till the publication of a new list after the expiry of the minimum period of one year or till the expiry of 3 years whichever is earlier. Candidates will be advised for appointment against the aforesaid vacancies and also against the vacancies if any, reported during the currency of the list. In case no candidate is advised from the ranked list till the expiry of the period of three years, the duration of the Ranked List shall be extended for a further period of one year or till at least one candidate is advised from the list whichever is earlier. 6. Age Limit 18-36. Candidates born between 02.01.1980 and 01.01.1998 (both dates included) are eligible to apply for this post. (Usual age relaxation will be given to SC/ST & Other Backward Communities) Note :- For concessions allowed in upper age limit, subject to the condition that the maximum age limit shall in no case exceed 50 years, please see para (2) of the General Conditions under Part II of this Notification . 7. Qualifications:- (i) Pass in S.S.L.C or equivalent qualification. (ii) Three years experience in handling/dispensing homoeo medicines in a Government Homoeo Hospital/ Dispensary or in a Private Homoeo Hospital/ Dispensary run by an “ A Class” Registered Homoeo Medical practitioner. Note: KS&SSR Part II Rule 10 a (ii) is applicable for selection to this post. Certificate to be produced in proof of experience shall be in the form given below.